Moving takes a lot of preparation and organization. Gathering up packing supplies is just the beginning. Renting a moving van or enlisting friends for help goes along with the process. Another choice to be made is what to do with all the extra stuff that will not fit in your new home. Many take advantage of the benefits of renting an off-site storage unit. Once that choice is made, you need to decide how much space you need. Estimating the best sized unit for your remaining belongings can be done with a few simple tips. 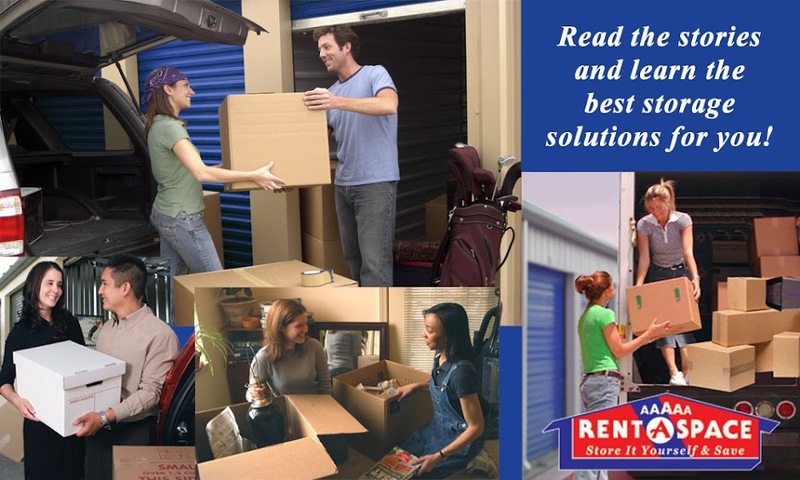 Save money and gain peace of mind when you choose to rent from a 5A Rent-A-Space self-storage facility near Lafayette. We provide a wide range of sizes and packing supplies for storing your things safely. Plus, we have a convenient Storage Unit Size Guide on our website at 5aspace.com with an in-depth calculator. 1. Start with a plan: With a few questions, you can get a handle on how much stuff you need to store. Once you have the answers, make a list. o What size of home do you currently live in? o Do you need to store appliances? o Do you have outdoor items that need to stay in the storage unit? o What other items do you need to store? Heirlooms? Furniture? Seasonal items? 2. Use some tape and a tape measure: Rental units come in a variety of sizes. Start by marking out a space on the floor with the tape. Measure out 5’ x 10’, 10’ x 10’ or one of the standard sizes. 3. Gather those items to be stored: Take those items going into your storage unit and fit them into the taped-out area on your floor. Put pieces in boxes if need be, so you can get a good sense of what it will look like. 4. Re-measure as needed: If you discover that there is not quite enough room, measure a larger area and try again. 5. Vertical packing counts: Remember you can stack floor to ceiling in your unit, so take full advantage of that cubic space. Make sure you pack heavy items into your unit on the bottom and lighter or fragile items on top. Finding the right sized unit helps you save the money from paying for a unit that’s too large and minimizes stress during your move. Save time and utilize our space calculator. At 5A Rent-A-Space, we have served our customers for over 45 years. We sell a variety of packing materials including boxes, tape, and bubble wrap. Rent a self-storage unit from us and we move you in with our free moving van. Consider us your one-stop shop for all your moving and storage needs. Reserve your self-storage unit online now. Call 5A Rent-A-Space at 925-643-2024 or toll-free at 1-800-5ASPACE (1-800-522-7223) to learn more. Protecting fragile items is critical to a successful move. No one wants to put time and energy into carefully packing up dishes, vases, or lamps only to find them broken when unpacked. Wrapping up plates and bowls with paper towels or newspaper does little to ensure cracking will not occur if your moving truck hits a bump. Bath or kitchen towels can slip easily leaving mom’s special china vulnerable. Each fragile item you pack should be handled differently. When you have the right supplies handy, wrapping and packing your wine collection, wine glasses, plates, and fine vases is a breeze. With proper handling, storing your delicate wares in a self-storage unit near San Mateo will be simple and efficient. At 5A Rent-A-Space, we carry an extensive line of packing supplies to meet your needs. Plus, we have storage units in many sizes and prices and storage counselors to guide you, so put your mind at rest when you rent a unit from us. Start Early…Very Early: The night before moving day is not the time to sit in the middle of your floor wrapping china plates in bubble wrap. Plan on packing fragile items very early in the process; as early as a month before the big day. The goal is to avoid rushing around as it may cause damage to these special items even as you are packing. Gather the Right Tools: There is no one-size-fits-all solution for packing. Wine bottles will benefit from a specific type of box. TVs need another. Make sure you have different sized boxes, plenty of tape, and lots of bubble wrap for the best results. Remember to keep a marker handy to indicate boxes that are FRAGILE. oMake sure bottles are sealed correctly with their corks or caps. o Pack red and white wine on its side; champagne upright. o Utilize specialty boxes for bottles. oGet boxes that are particularly designed to hold wine glasses. oEnclose the glass in bubble wrap to protect the stem. oUse packing peanuts to fill any empty spaces in and around the glassware. Plates and Dinnerware: Use a small to medium-sized box for your plates. Wrap each one separately and place paper in between. Put crumpled paper on the bottom of the box as well as the top. Picture Frames: Just like your plates, use boxes that are small to medium in size. Wrap frames separately and place crumpled paper in between each one. Ensure there is no movement within the box by adding additional packing supplies as needed in crevices. Oddly-shaped Items: Some items just do not clearly fit the norm. For instance, your great-grandmother’s antique crystal wine decanter is odd in shape and size. Take care to wrap it in bubble wrap very carefully, tape heavy Kraft paper around it, and put it in a box just barely bigger. Then stuff any open spots with additional paper or packing peanuts. 5A Rent-A-Space near San Mateo offers a variety of different sized boxes, including specialty boxes for your dishes, TVs, and mirrors. We even carry bubble wrap sleeves. Always purchase the right materials to get the job done and safeguard fragile items against breakage.